Michael has college diplomas in the fields of Radio and Television Broadcasting and Electronics Engineering. He has worked in a variety of roles, from Live Sound and Television production, to Telecommunications manufacturing, testing and debugging, and R&D lab support. Being technically inclined since a young age, Mike has built every computer he’s ever owned (other than the Commodore 64 as a kid), and likes to tinker with home automation and multi-media systems. Michael has used and worked on a variety of hardware systems, from embedded products to a variety of test equipment, and has used every version of Windows since 3.11, a variety of Unix platforms (HP-UX, Solaris), and his personal favourite, Debian Linux and it’s variants like Ubuntu. 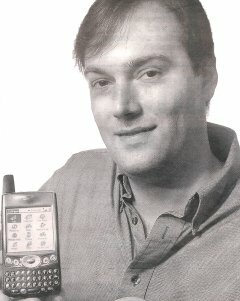 Mike has been a handheld computer enthusiast since 1999, and is currently on his seventh handheld/smartphone since then. In his spare time, Mike enjoys designing and mixing sound for large community theatre musical productions, and engaging in a multitude of home improvement projects with his wife and kids.